Contributor Anthony Boutard's keen eye spotted some unusual visitors to the Ayers Creek Farm wetland. Click on the photos to see them full size. 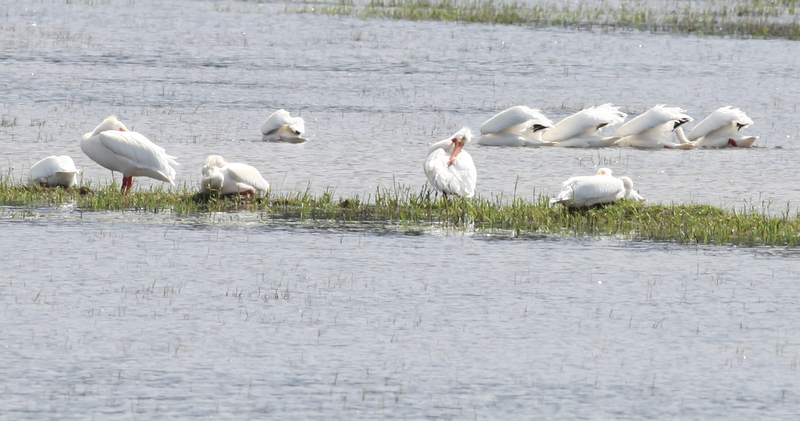 For the past week, we have had a bunch of white birds in the further reaches of the wetland. Wasn't sure if they were egrets or swans. Today, they moved closer and I brought out the spotting scope. 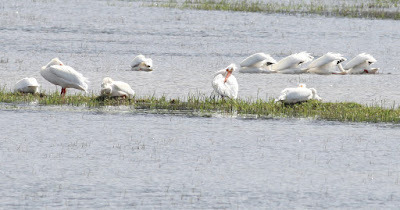 Turns out we are hosting a group of 19 white pelicans. 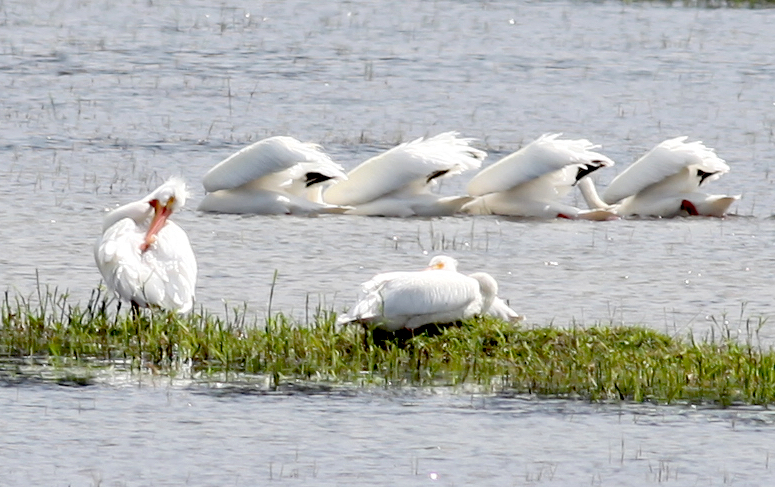 Unlike the brown pelican of the coast, the white pelicans are generally found inland. This is the first time we have seen them on our wetland. The birds in the water on the right are fishing in a coordinated effort which increases their catch.